If you’re looking for the perfect floral gift for the special person in your life, look no further than Handy Flowers. Our flower shop is rooted deeply in the London community, offering a wide variety of flowers and floral arrangement gifts that are light on your wallet. In addition to our enormous and affordable selection, Handy Flowers also offers an expeditious and on-time flower delivery service, ensuring that your gifts reach their intended recipient in an enthusiastic and sincere manner. If you are in the market for cheap flowers, and reliable flower delivery in South East London, you’ve come to the right place! Send flowers now and make someone feel happy. Our mission is to give you the perfect flowers for your occasion, all at a reasonable and affordable price. We strive to provide cheap flowers to our customers with the knowledge that they will want to come back for return business. When you witness the beauty of our flowers, sentimentality of arrangements, and knowledgeable florists on staff, you’ll understand why we have been an established florist in South East London for such a long time. Flowers are our livelihood and we seek to provide our customers with flowers that are visually appealing and perfectly representative of your special occasion. Our South East London florists are the best of the best. Handy Flowers only hires the most knowledgeable florists with a dedicated passion for flowers to work at our flower shop. Our team bring an extensive knowledge of botany and customer service to work every day, aspiring to provide you with the perfect floral gift or arrangement for your personal needs. Whether it’s a wedding, an anniversary, or a sympathy occasion, we have the experts you can trust to get the job done right. With an expert taking care of your floral needs, we guarantee that special someone will be happy with their gift! At Handy Flowers we recognize that your flower delivery option carries nearly as much importance as the selection of flowers themselves. After all, you want to ensure that your gift arrives at the precise moment to make that special someone as happy as they can be! This is why we offer a wide assortment of delivery options in South East London, from same day flower delivery to flowers by post options. With fees and tricky packaging issues, sending flowers by post can be a tricky experience. Fortunately, we have the expert team who can make this easy for you. Our flower delivery service is no stranger to the internet age. We offer an online service that provides you with the ability to send flowers in South East London using a few clicks. All of our flowers and our expert florists are at your disposal at any time of the week. You can browse online and select the perfect bouquet of flowers while specifying the recipient and delivery address. You will enjoy the results and convenience as you use our service, and your recipient will be delighted with the surprise of your online delivery. Delivering the perfect gift has never been this easy before! Send flowers with us now! South East London is one of the sub-regions of Greater London. 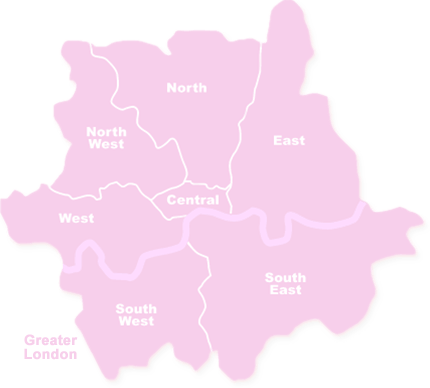 It consists of the London Boroughs of Bromley, Bexley, Greenwich, Southwark and Lewisham. Some of the areas it covers include Peckham, Woolwich, Walworth, Hither Green, Deptford, Rotherhithe, Penge, Anerley, Herne Hill, and Sydenham. Notable places to visit include Imperial War Museum, Tate Modern, Royal Museums Greenwich, Shakespeare's Globe, Design Museum, Eltham Palace & Gardens, Fashion and Textile Museum and Cutty Sark. There are lots of parks and open spaces where families can spend their free time and enjoy nature.